The 2016-2017 runDisney race season gets up and running in September with a string of nine race weekends and events geared for runners of all ages and levels. In the U.S., each race weekend offers runDisney Kids’ Races, 5K, 10K, half marathon and a massive health & fitness expo, while Walt Disney World Marathon Weekend also features the full 26.2-mile marathon. The runDisney series kicks off Labor Day weekend with the Disneyland Half Marathon Weekend presented by Cigna and concludes with the Tinker Bell Half Marathon presented by PANDORA jewelry in May. In all, more than 200,000 runners from around the world are expected to participate in runDisney events at Walt Disney World Resort, Disneyland Resort and, for the first time this season, Disneyland Paris. 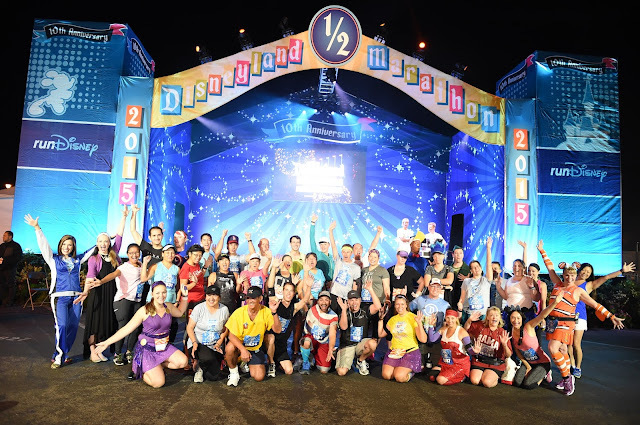 Disneyland Half Marathon Weekend presented by Cigna (Sept. 1-4): More than 32,200 runners are expected to participate in the various events during this 11th annual event. Many runners will participate in more than one event, including more the than 6,000 runners doubling their running fun during the 10K and the half marathon in the Dumbo Double Dare challenge. Disneyland Paris – Val D’Europe Half Marathon Weekend (Sept. 23-25,): The much-anticipated debut of the Disneyland Paris Half Marathon Weekend comes this fall. Kick-off parties, uniquely designed medals and a course that takes runners through the Disneyland Paris Resort area and the Parisian countryside sets this inaugural international event apart from other runDisney races. This race weekend features the Disneyland Paris 5K and Disneyland Paris Half Marathon, as well as the Castle to Chateau Challenge for runners who complete the Disneyland Paris Half Marathon and a runDisney race in the U.S.
Disney Wine & Dine Half Marathon Weekend presented by MISFIT (Nov. 3-5): This culinary-themed race coincides with the Epcot International Food & Wine Festival. For the first time, what used to be a nighttime race will now take place in the early morning hours. Participants will run through multiple theme parks and finish at Epcot, site of an exclusive after-hours post-race party. New this year are the Disney Wine & Dine 10K and Lumiere’s Two Course Challenge, for runners who do both the 10K and the half marathon. Super Heroes Half Marathon Weekend (Nov. 10-13): This 3rd annual race weekend includes a 5K that pays tribute to the 75th anniversary of Captain America, while the 10K gets its theme from the upcoming film, “Doctor Strange”, the latest installment in the Marvel film franchise. The Avengers Super Heroes Half Marathon caps the weekend’s events. 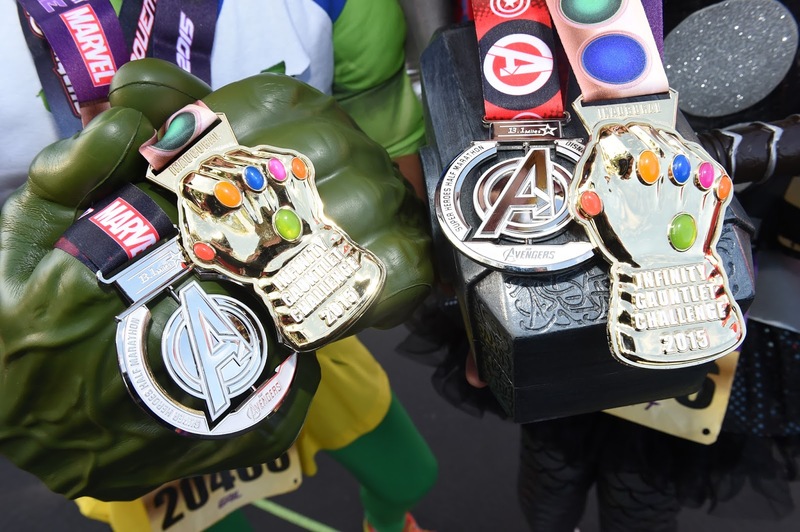 Runners can put their super powers to the test by participating in the Infinity Gauntlet Challenge – running the 10K and the half marathon. There’s also a pasta party during the weekend’s events, where guests can indulge in a buffet dinner and interact with their favorite Marvel super heroes. Walt Disney World Marathon Weekend presented by Cigna (Jan. 4-8, 2017): This is runDisney’s signature event, which began in 1994 and features a marathon that takes runners along a magical 26.2-mile journey through Magic Kingdom, Epcot, Disney’s Hollywood Studios and Disney’s Animal Kingdom. Known as one of the top family-destination races, this race weekend attracts more than 55,000 runners and their guests. 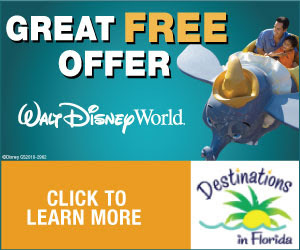 Participants who didn’t get enough action during the race weekend can run from the parks to paradise by participating in the Disney Castaway Cay Challenge. The Monday after the marathon takes place, guests can sail on the Disney Dream and run a 5K on Disney’s private island in the Bahamas. Star Wars Half Marathon Weekend – The Light Side (Jan. 12-15, 2017): One of two Star Wars-themed races in the runDisney series, this race weekend at Disneyland Resort is one of the most popular runDisney events of the season. Runners can meet and pose for pictures with their favorite Star Wars heroes as well a variety of races including the Rebel Challenge – tackling the 10K and the half marathon. Disney Princess Half Marathon Weekend presented by Children’s Miracle Network Hospitals (Feb. 23-26, 2017): With more than 26,000 runners participating throughout the weekend, this is 8th annual event one of the largest women-specific endurance events in the country. The fiercest princesses of them all can sign up for the Disney Glass Slipper Challenge, which involves running the 10K and the half marathon. Star Wars Half Marathon – The Dark Side (April 20-23, 2017): This race weekend is the newest at Walt Disney World, taking place for the first time last April. 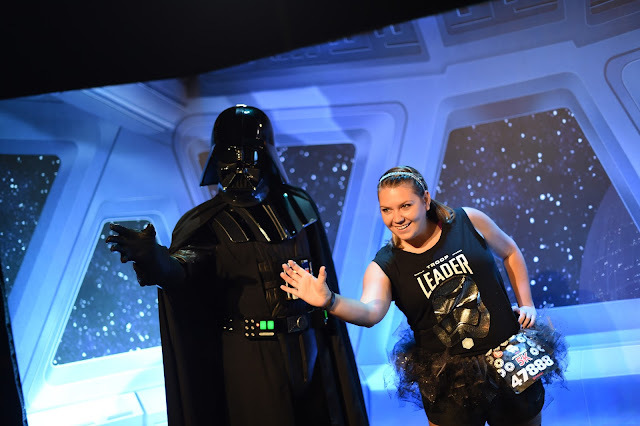 Before the race, runners have the opportunity to interact with their favorite Star Wars characters from the dark side of the force. The toughest runners can participate in the Dark Side Challenge by doing the 10K and half marathon on back-to-back days. Tinker Bell Half Marathon Weekend presented by PANDORA jewelry (May 11-14, 2017): This 6th annual race coincides with Mother’s Day weekend and is Disneyland Resort’s women-specific endurance event. 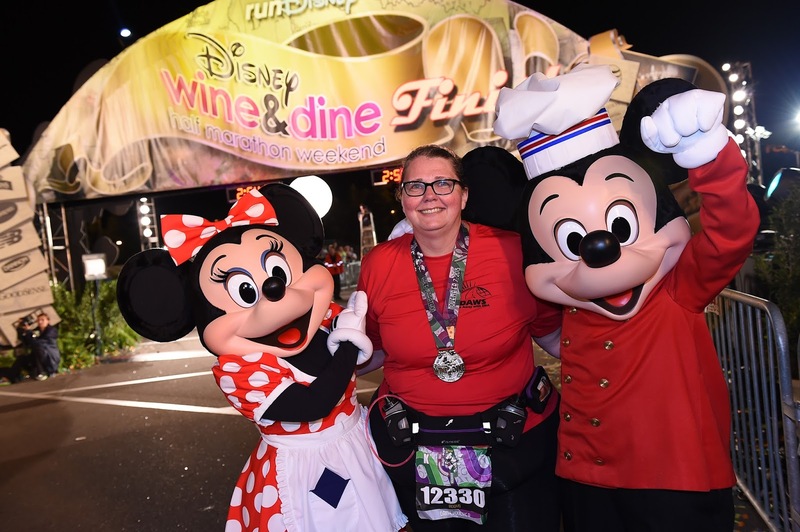 Runners can earn their “wings” across the weekend’s events, and those with a little more faith and trust can do the Pixie Dust Challenge – “flying” through the 10K and half marathon. 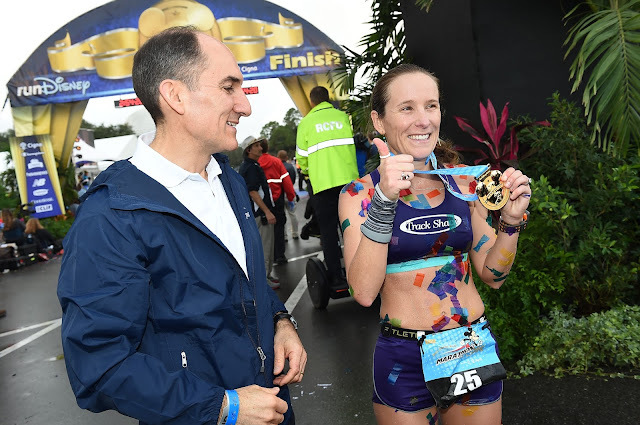 Some of the most special features of a runDisney event are the highly coveted medals for each race. In addition to the event-specific medals, runners also have the opportunity to earn a special Coast to Coast Challenge medal, given to those who complete a half marathon at Disneyland Resort and Walt Disney World resort in the same calendar year. Runners who specifically do the Disney Princess Half Marathon and Tinker Bell Half Marathon will receive a special pink edition of the Coast to Coast Challenge medal. And if the force is with them, runners who participate in both Star Wars-themed half marathons will earn the Kessel Run Challenge medal.